Though it is considered rude to do in public, yawning is perfectly normal and natural. It is one of our body’s normal methods of triggering relaxation, dismissing stress, and easing tension. 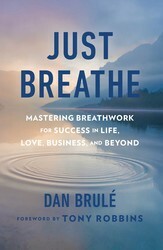 Learn more in Just Breathe: Mastering Breathwork for Success in Life, Love, Business, and Beyond. Everywhere I go I encourage people to yawn. Why? Because it’s good for you and it feels good too. Yawning is one of those very natural reflexes, and not just among humans. All mammals yawn, as well as birds and reptiles. And although we tend to associate yawning with being tired or bored, there is far more to it than that. Animals often yawn before they attack, and they yawn when the fight is over. 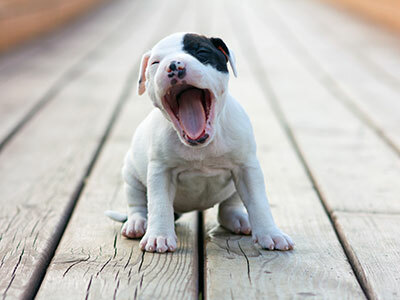 Have you noticed how often dogs and cats yawn and stretch, even after lying for only a few minutes? Yawning has to do with energy, balancing the nervous system, releasing toxins, and more. One of the most interesting things about yawning, and we all know this, is that whenever one person in a group yawns, someone else also does. In fact, just talking about yawning in a group will result in someone yawning. We know that yawning is contagious, and science is finally beginning to take a more serious look at this phenomenon. Did you know that sociopaths don’t share the tendency to yawn when others do? The less empathy a person has, the less likely he or she is to catch a yawn. Yawning is a very natural and healthy phenomenon. It’s actually a vital breathing reflex, but consider the social programming around it. We’ve been taught to think or feel that it is rude or impolite, even insulting or offensive! Besides attracting attention, there is often a perceived message of boredom, or that the yawner is not interested in what is happening or being said. Cultural mores about open mouths and human noises deem that they are not acceptable in “polite society.” All this causes people to suppress something that nature requires us to do. For those times you can’t yawn on command, try one of these 5 other ways to reduce stress. Reduce stress and anxiety, increase your productivity, detox your body, balance your health, and find the path to greater mindfulness with this collection of signature breathing techniques by the world’s leading breathmaster, Dan Brulé. What if you could control your outcomes and change results simply by controlling your breath? Now you can. In this definitive handbook, world-renown pioneer of breathwork Dan Brulé shares for the first-time his Breath Mastery technique that has helped more than 100,000 people in over forty-five countries. Just Breathe is a simple and revolutionary guide that reveals the secret behind what the elite athletes, champion martial artists, Navy SEAL warriors, and spiritual yogis have always known—when you control your breathing you can control your state of well-being and level of performance. So if you want to optimize your health, clear and calm your mind, and spark peak performance—the secret to unlock and sustain these results comes from a free and natural resource that’s right under your nose. From high stress, critical situations to everyday challenges, Just Breathe will show you how to harness your awareness and conscious breathing to benefit your body, mind, and spirit. Dan Brulé is the world’s foremost expert and renowned pioneer in the field of breathwork, and leader of the worldwide Spiritual Breathing Movement. He served in the United States Navy during the Vietnam era and received his master’s degree in Cambridge. He has founded multiple organizations focused on breathwork, such as The Growth Center, Inc. in New England. More than 100,000 people in forty-five countries now apply Brulé’s breathing exercises and techniques in their work and in their lives. He travels and teaches his techniques to tens of thousands of students a year in over a hundred global trainings.